Native to St. Croix, Trinidad and Curacao. The name Malpighia is used to honor Marcello Malpighia (1628-1693). He was a distinguished naturalist in Bologna, Italy. 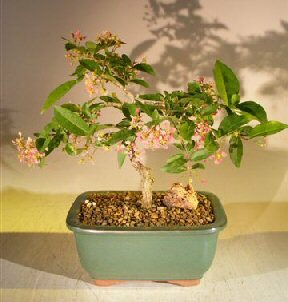 The natural form of the Barbados Cherry is Pendulous with weeping twigs and branches. 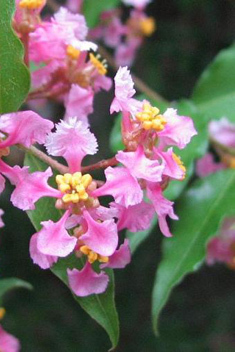 The flowers are rose-pink, often several together in a cyme. Its fruit is small and edible. It has a weeping growth habit if the branches are allowed to elongate. The round edible fruits are borne singly or in 2s or 3s and are bright red with glossy skin. The fruit is very juicy and extremely high in ascorbic acid. Great indoor bonsai. Suitable humidity tray is recommended.